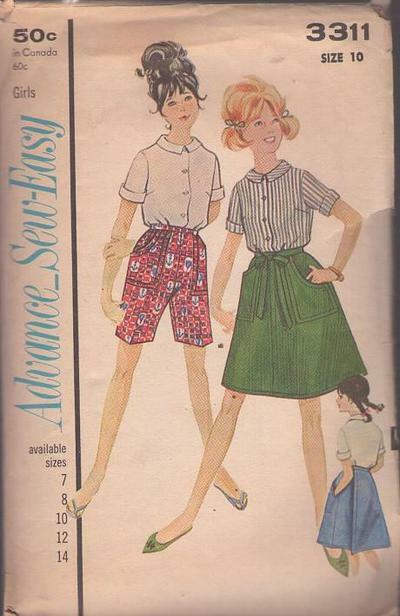 60s Children, Retro Casual Separates Clothing Patterns - Cute girls flat collared blouse has fold up cuff on short sleeves. High waisted walking shorts have pockets and back zipper. Wrap around skirt has flare and large cargo pockets.